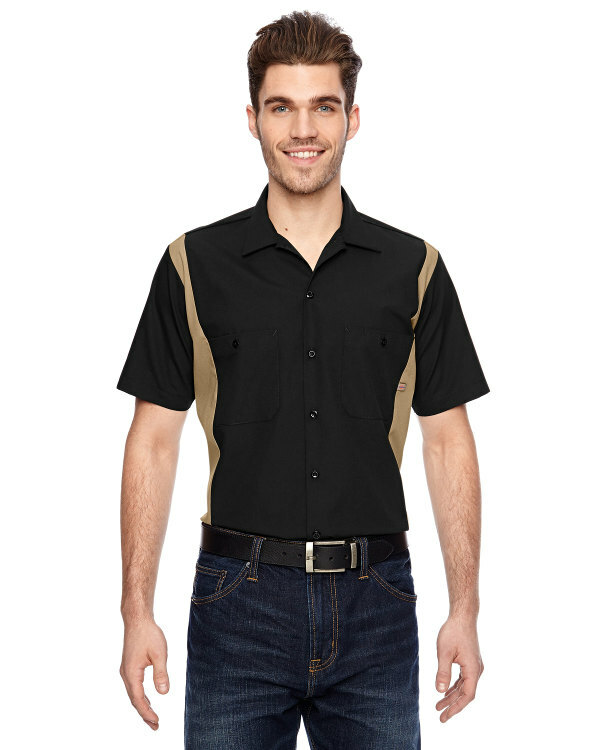 The Dickies Industrial Colorblock Shirt is available in Sizes: S-5XL and can be purchased in your choice of the following colors: Black/Desert SND, Black/Charcoal, Black/ENG Red, Charcoal/Royal Blue and Dark Navy/Smoke. SKU: AB-LS524 Categories: Activewear, Woven Shirts, Woven Shirts, Men's Clothing, Shop by Color, Black, Blue, Navy, Red Tags: men's clothing, woven shirts Brands: Dickies. This button neck closure and fade-resistant Industrial Colorblock Shirt is made with a combination of 65% polyester & 35% cotton and is perfect for active men.